What Summer Travelers Need To Be Wary Of: From Yellow Fever To Zika : Goats and Soda Is your destination too dangerous? How do you protect yourself from health threats? The beaches of Brazil beckon — but travelers need to find out if they're heading to a part of the country where a yellow fever vaccine is recommended. With its tropical beaches and a memorable national park, Venezuela was a popular destination for American tourists a decade ago. But years of political and economic turmoil have left its tourism industry in tatters. Now there's an even more pressing reason to stay out of the country. The Centers for Disease Control and Prevention (CDC) last month issued a rare "Level 3" warning, urging Americans to avoid nonessential travel to Venezuela. The CDC notes that the country is "experiencing outbreaks of infectious diseases, and adequate health care is currently not available in most of the country." Cases of measles, diphtheria and malaria have been reported. "Venezuela's totalitarian regime has made health very tenuous, with many risks, both infectious and noninfectious," says Amesh Adalja, a senior scholar at the Johns Hopkins Center for Health Security. While skipping Venezuela this summer seems like a no-brainer, other health dangers lurk in both mainstream and off-the-beaten-track destinations. Here are some of those threats, along with advice on how to check your destination in advance and take the proper precautions. Is my destination too dangerous? How do you know if your destination is too hazardous for your health? Checking the CDC's Travel Health Notices and the World Health Organization's Disease Outbreak News database will give you an overview of the global health problems this summer. Yellow fever and malaria in Brazil. There's a large, ongoing outbreak of yellow fever in multiple states of Brazil, according to the CDC. The agency recommends vaccinations at least 10 days before travel to affected areas and urges you take precautions to ward off mosquito bites. The malaria warning is confined to the town of Wenceslau Guimarães, in Brazil's Bahia state. Malaria and listeriosis in South Africa. U.K. health authorities in March reported cases of malaria in residents who had returned from the Waterberg district municipality of Limpopo Province. Malaria is most common along South Africa's borders with Zimbabwe and Mozambique. Listeriosis, a bacterial infection, is contracted by eating contaminated foods. The CDC has warned travelers to avoid certain foods, such as soft cheese made from unpasteurized milk, to reduce their risk of infection. Zika in the Caribbean. The mosquito-borne Zika virus remains a problem in tourist hot spots like Antigua and Barbuda, Aruba, the British Virgin Islands, St. Martin, St. Vincent and the Grenadines, and Turks and Caicos. The CDC has warned travelers to take steps to protect themselves from mosquito bites. For travelers headed to remote places, whether for business or adventure, there are significant warnings to consider. These include an Ebola Virus Disease outbreak in the Democratic Republic of the Congo, a cholera outbreak in Cameroon, and a danger of Middle East respiratory syndrome coronavirus infection, or camel flu, in Saudi Arabia. An Ebola outbreak is a reason "for sure" to cancel a trip, says Robert Salata, chairman of medicine and an infectious-disease expert at University Hospitals Cleveland Medical Center. But it's not the only reason. 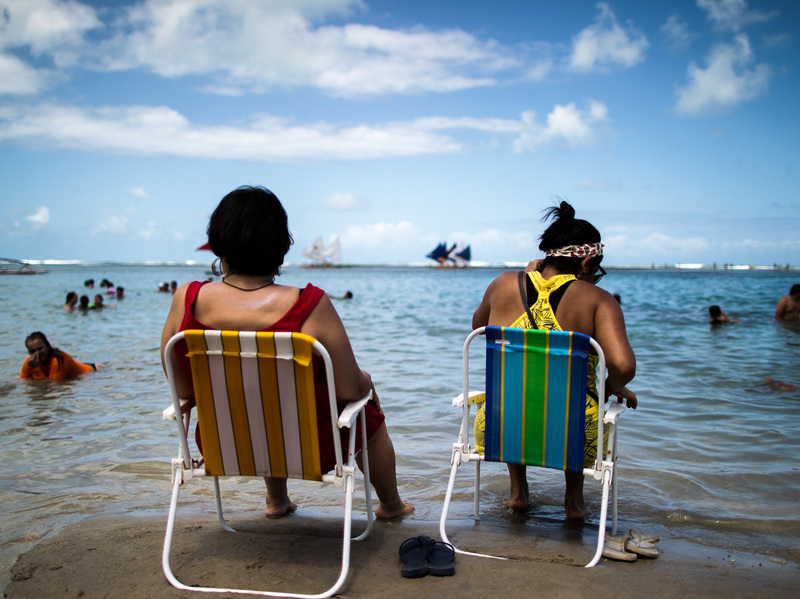 If a place you're planning to visit this summer is on the warning list for cholera, other hemorrhagic fevers or Zika, you should strongly consider adding it to your no-visit list, says Salata. "Don't just pay attention to the warnings about disease outbreaks," Salata adds. "Review any notices related to ongoing violence or natural disasters." Those can exacerbate a health problem at your destination by making it more difficult to obtain care. Take Zika, for example. The mosquito-borne virus, which can cause birth defects, could be a reason to reconsider your travel plans. But if you aren't of childbearing age, it might not be, says Strickman. A few preventative measures — such as using mosquito repellent and wearing clothing with mosquito-repellent qualities — can substantially reduce the risk of infection. If you're traveling this summer, it's vital to have a big-picture understanding of health and safety, says Louis Weiss, a professor of pathology at Albert Einstein College of Medicine in New York. For a primer on the subject, he recommends a section of the CDC site devoted to such risks. "Research the health risks and requirements for travel," he advises. "Travelers leaving the country should be well aware of any travel advisories for their intended destination," says Justin Tysdal, the CEO of Seven Corners, a travel insurance company. That includes popular destinations like England, France and Greece, each of which has its own CDC measles warnings. Travel insurance may also be a worth considering. But you have to pore over the fine print before you buy. Medical evacuation coverage on travel insurance can be limited, so you might consider additional coverage through a medical-transport and travel-security membership program such as Medjet. Airfare, activities, or excursions booked through and prepaid to a travel supplier would generally be protected, as long as a health warning isn't already in effect in the destination. But experts warn that if a health warning has already been issued, insurance usually won't cover an evacuation or cancellation. "You might consider a 'cancel for any reason' policy, which addresses those types of concerns," says Beth Godlin, president of Aon Affinity Travel Practice, a travel insurance company. Those policies are typically more expensive than standard, named-exclusion insurance policies and will refund only a percentage of your vacation costs. But whatever kinds of precautions you take, say the travel specialists, don't procrastinate. Once you've bought the tickets, getting a refund may not be possible. Christopher Elliott is the founder of Elliott Advocacy, a nonprofit organization that empowers consumers to solve their problems and helps those who can't. Email him with your questions at chris@elliott.org.